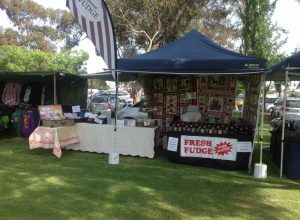 The Loxton Show welcomes a large number of small businesses and private enterprises selling a wide variety of goods, and a good range of food premises to cater for every taste. If you are interested holding a trade or food site at the Loxton Show, please contact the Secretary on 08 8584 7715, email info@loxtonshow.org.au or download a trade/food site application pack from our website. Specific details on how to apply are available in the 2018 application pack below.